Women's Beaten Silver Heart Necklace : LOVE2HAVE in the UK! 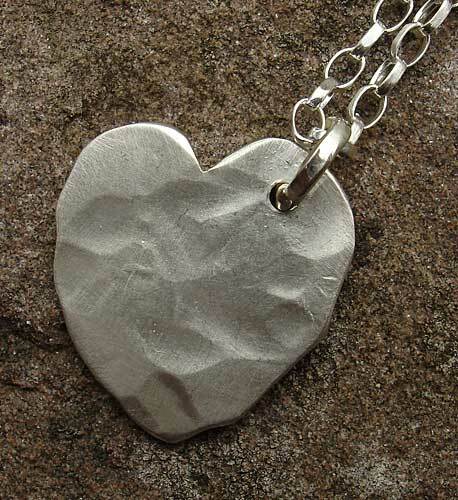 A women's beaten silver heart necklace. 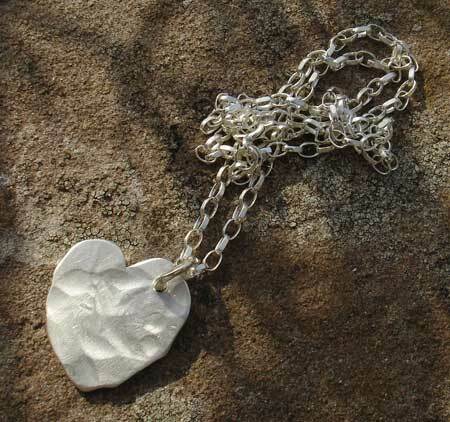 This piece of jewellery is a contemporary hammered silver heart necklace on a 16-inch silver belcher chain. The silver has a hammered texture and comes in a matt finish. The heart measures approximately 22mm x 22mm. Please note that we only have one of these pieces available so order now to avoid disappointment.